Located on the coast of the Pacific Ocean between Half Moon Bay and San Francisco is the charming beach city of Pacifica. Your vacation there will take you through broad valleys, rolling hills, towering mountains, and of course, an endless stretch of golden beaches. 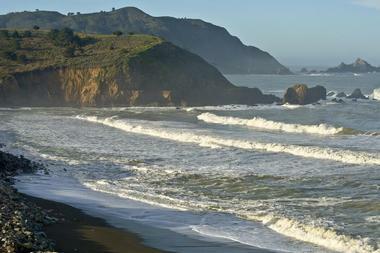 Regionally, Pacifica is extremely popular as a surfing destination. Visited by over a million people every year, Pacifica State Beach is also commonly known as Linda Mar Beach. 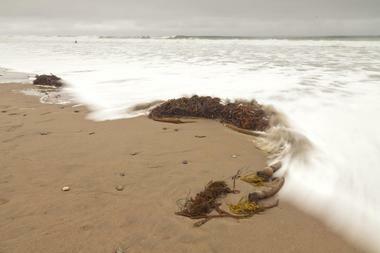 The crescent-shaped beach is less than a mile long and can be found near the San Pedro Valley in downtown Pacifica. It is an extremely popular site with beginner surfers due to the milder waves that can be found there. In addition to surfing, you can spend your time swimming, sunbathing, taking part in beach yoga, or indulging in one of the many other water sports that are available there. If you get hungry, head on over to the beach’s Taco Bell which is recognized as one of the most scenic Taco Bell locations in the world. 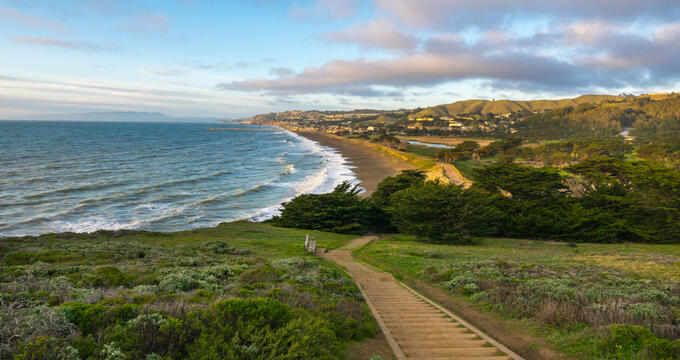 Situated along the banks of the Pacific Ocean and a part of the Golden National Recreation Area, Mori Point is a 110-acre haven that is filled with natural beauty and wildlife. The main attraction, Mori Point itself, is a prominent bluff that can be seen jutting out into the Pacific Ocean. 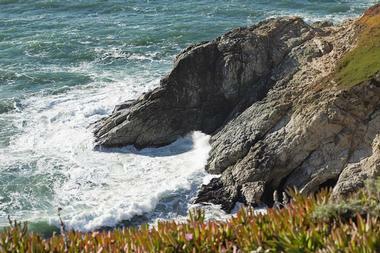 Visitors are urged to walk to the tip of Mori Point so they can see stunning views of the peninsula coastline. In addition to the bluff and ridge, the large expanse of land is also home to wetlands and small ponds - all of which have trails winding through them, making it easy to explore. You’ll come across several species of flora and fauna while you’re there so be on the lookout for threatened and endangered animals such as the California red-legged frog or the San Francisco garter snake. A segment of what used to be Highway 1, the Devil’s Slide Trail is a 1.3 mile long path that takes you through the precarious heights above the Pacific Ocean. The trail can be accessed by hikers, bicyclists, and horseback riders - all of whom can stop at the trail’s many overlook points and observation scopes to take in the breathtaking beauty of the rocky waters below. Amenities that are available along the trail include several benches and interpretive signs which describe the geography, history, flora, and fauna of the area. Other facilities on the paved trail also include bike racks, restrooms, drinking fountains, and pet waste stations. Located on Sharp Park Beach and spanning over 1,140 feet, the Pacifica Municipal Pier is one of the best fishing piers in all of California. Extending out into the Pacific Ocean, anglers in the Bay Area flock to the pier all year long in hopes of catching a high number of quality fish. Even better, there is no admission charge nor is a fishing license required to go fishing off the pier. Some of the fish that you might catch include striped bass and salmon; if you prefer, crabbing is also allowed and no license is required for that either. Facilities that are available on the pier include fish cleaning stations, restrooms, benches, lighting, and a coffee house/ snack bar. San Pedro Valley Park is a wonderful place to explore Pacifica’s outdoors. 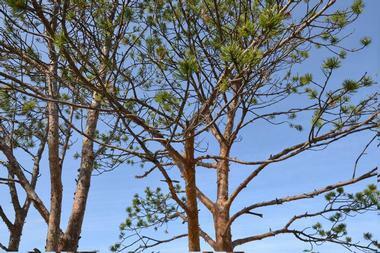 There are seven trails in the park, each of varying length and different amenities. The longest one is Hazelnut Trail and is a 3.7 mile path that winds through the park. Montara Mountain Trail is 2.1 miles long and will have several vantage points that look out into the Pacific Ocean while the one-mile-long Brooks Creek Trail will lead you to the gorgeous 175-foot-tall Brooks Falls. 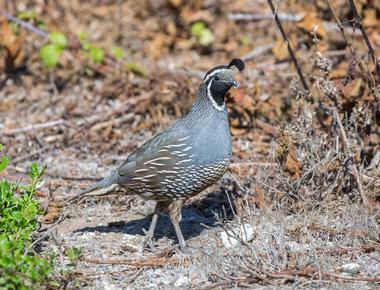 Weiler Ranch Road Trail is known for its abundant wildlife and is best explored in the early mornings, and the Plaskon Nature Trail is popular with many as it is wheelchair accessible. Just half an hour away from San Francisco, the Sweeney Ridge Trail is a hilly hiking area that is adjacent to Thornton State Beach. Visitors can head up to the 1,200-foot-high summit of the ridge to see stunning views of the Pacific Ocean, the bay, coastal scrubs, and grasslands. 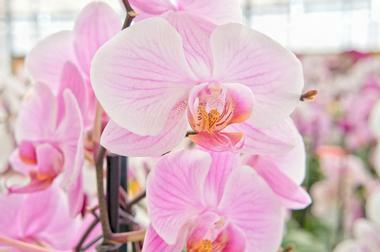 At the trailhead, you will find a cluster of greenhouses that were originally built in 1949 but are now known as the Shelldance Nursery; within it, world-class hybrid orchids are cultivated and open to the public for viewing. Some of the flora and fauna that you may come across include spring wildflowers, deer, and hawks. If you’d prefer going on a guided hike, the park rangers there conduct several walks through Sweeney Ridge. Often recognized as one of the cleanest beaches in the San Francisco Bay Area, Rockaway Beach is popular with tourists and locals alike as it is filled with a number of shops and restaurants on its waterfront. Be sure to climb up to the scenic overlook for stunning panoramas of the beach, the Pacific Ocean, and the neighboring town. Popular activities you can participate in while there include swimming, sunbathing, hiking, biking, surfing, fishing, and walking along the beach. There are several amenities such as showers and restrooms to make your stay more comfortable. A paved path can be found along the length of the beach for walkers, joggers, and wheeled visitors. One of the city of Pacifica’s most unique attractions is Shelldance Orchid Gardens, a world-renowned bromeliad nursery. The gardens were originally established in 1949 by Herb Hager, who used his skill and vision to turn an artichoke field into what was then state-of-the-art greenhouses. Other than a change in name, the greenhouses have essentially remained the same until today. You will be able to see world-renowned hybrid orchids, many of which are named after local area landmarks such as Pacifica, Pedro Point, and Pacific Ocean. Go explore the ethereal place and walk through the arrangement of plants - you’ll also come across an array of local artwork throughout the gardens. A part of the Golden Gate National Recreation Area, Milagra Bridge is a protected 275-acre, open-area park that is open to the public for hiking and exploration. The ridge has a rich history, having first been inhabited by the Ohlone indigenous people and later on by Mexican Ranchers and Spanish settlers. In the 1930s the land was acquired by the United States Army who proceeded to build Battery Construction No. 244, a fortification which was a part of a larger defense network to protect the San Francisco Bay. The battery was decommissioned in 1950 and its ruins can still be found in the park today. In addition to seeing the ruins, you’ll also come across various flora and fauna during your hike in Milagra Ridge; some of the special status species you may see are the San Bruno elfin butterfly, California red-legged frog, and the San Francisco garter snake. The Pacifica Arts Center was founded in 1976 as the Pacifica Arts and Heritage Council in an attempt to boost the community, assist with shows, and sponsor all forms of art. They operated in several locations before finally moving into the center in 1997, which is now fitted with a beautiful handcrafted stage and a fantastic sound system - all of which is used to put on performances of all kinds throughout the year. Almost every week, you can experience something new, whether it be an art exhibit by one of the local artists, a comedic play, a blues musical performance, or a display of dance. 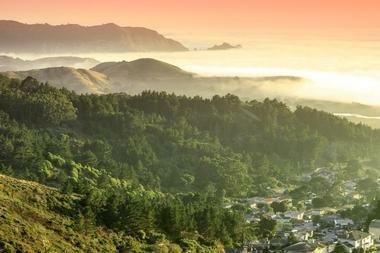 Frontierland Park is a vast open space that can be found nestled against the hills of Pacifica. It is a popular spot for people to come spend the day and has tons of amenities such as a playground for younger visitors, several designated picnic areas fitted with barbecue grills and counter prep space, horseshoes, and much more. 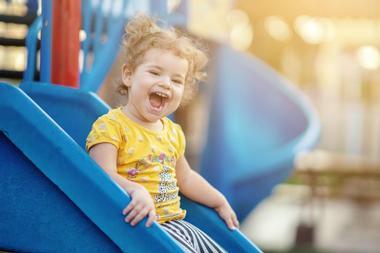 Kids love the huge play structure and parents love that there are separate play areas for smaller children up to the age of five and another for kids who are six and older. The large lawn area is the perfect place to spread out a blanket, nibble on a picnic lunch, read a good book, and take in the picturesque landscape that surrounds you. The Pacific Spindrift Players comes from two different beginnings - one of the Pacifica Players which formed in 1959 and another of the Spindrift Playhouse which formed in 1965. All of the participants were focused on one thing: putting together memorable theater performances for the entire community to enjoy. Today, you can visit the Pacific Spindrift Playhouse to experience a number of live productions from revived plays and musicals to diverse contemporary theatre. Some of the shows they’ve done or are planning to do include My Fair Lady, It’s a Wonderful Life, and Heathers: The Musical. 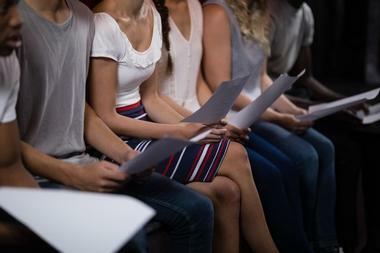 Thespians of all ages can learn and develop their skill at the Spindrift School of Performing Arts. Established in 1947, Sanchez Adobe Park is a 5.46-acre park that contains the Sanchez Adobe Historical site. It is one of the finest examples of Mexican era architecture in the area and has been identified as a California Historical Landmark and U.S. National Register of Historic Places. You’ll also be able to see the several period pieces that the restored adobe resident is furnished with. Getting to the adobe will take you through the park’s varied array of flora and fauna; you’re sure to come across cypress trees and Bigleaf Maple trees, sparrows, and hummingbirds. Located on the gorgeous South Linda Mar Beach in Pacifica, the University of Surfing has been providing people with an opportunity to have the best surfing experience in the San Francisco Bay Area since 2004. The fully licensed establishment comprises several lifelong surfers who can teach you how to surf on just the right tide. You will be provided with a soft surfboard, wetsuit, and booties for your memorable experience out on the waters, and can choose from group lessons, private lessons, and semi-private lessons. Surf 101, which is their beginner surf lesson, is perfect for visitors of all ages and will have you surfing the San Fran waves in less than an hour. Sam’s Castle is one of Pacifica’s most famous landmarks. 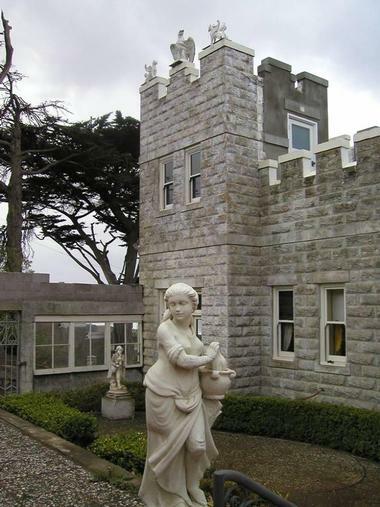 The castle, which was built in 1908, has an eccentric history of being a party palace, a brothel, a speakeasy, and a Coast Guard outpost. You’ll be able to see the odd array of furnishings and decor which accumulated there over the 50+ years in which Sam Mazza used the palace for his wild, renowned parties. Now managed by the Sam Mazza Foundation, visitors are able to go on a fun guided tour led by Bridget Oates, the author who wrote Sam’s Castle. The tour lasts 1½ hours and will take you room by room, giving you time to take in the fun facts and see all the oddities that make the castle unique. 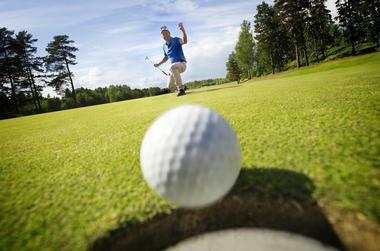 Sharp Park Golf Course was established in 1932 and is the work of esteemed architect Alister MacKenzie who also designed Cypress Point, Augusta National, and many other famed golf courses around the world. The historic seaside green has been recognized as one of “America’s 50 Greatest Municipal Courses” and can be found ten miles south of San Francisco. As you play the 6,300 yard long, par 72 course, you’ll be surrounded by stunning views of the mountains and the Pacific Ocean. Afterwards, head to the Spanish hacienda clubhouse which is one the course’s original structures which still stand today. Colombo’s Italian Delicatessen was established in 1986 when husband and wife team, Emil and Doris Colombo, purchased a location that had been an Italian deli under different ownership since 1967. Soon, their family and their restaurant grew, and they became an essential part of the community, building relationships with residents and visitors of Pacifica while serving delicious traditional cuisine. Patrons will be able to indulge in the deli’s delicious sandwiches with over 25 specialty choices on the menu - and if nothing catches your eye, you can build your own sandwich by choosing the bread, meats, cheese, and condiments you favor. 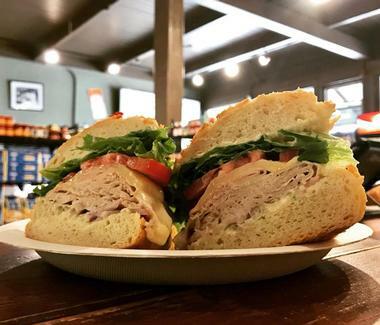 Sandwiches that have proven to be popular over the years are the Tuscan Sub with Tuscan-style turkey and asiago pressato cheese, the Sicilian sandwich with sausage and pepperoncini, and the Lt. Colombo which is topped with turkey and roast beef. 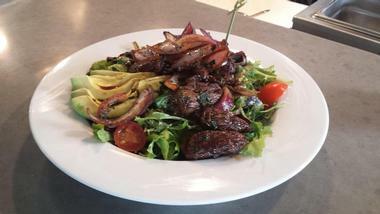 Puerto 27 is a Peruvian kitchen and pisco bar that has been a part of the Pacifica community for nearly thirty years. The restaurant serves dishes that encompass the traditional flavors of Latin American dishes while incorporating a contemporary twist. Every single item on the menu is made with premium quality meats, fresh produce, and authentic ingredients so that you have a wonderful dining experience. Puerto 27 also showcases a full ceviche bar, acclaimed international wine list, and an exquisite variety of homemade desserts. The two level dining room has a warm and inviting atmosphere, giving you the chance to enjoy your meal as you look out to stunning views of the Pacific Ocean. Located within one of the area’s most prestigious hotels, the Lighthouse Hotel, the Moonraker restaurant gives you the opportunity to enjoy classic Pacifica-style beach dining. The restaurant has a delectable seafood-centric menu which you can enjoy in a stylish setting as you overlook the Pacific Ocean. Moonraker is open for breakfast, lunch, and dinner, and is led by executive chef Jason Yeafoli who is esteemed in the restaurant industry. All of the classic and contemporary seafood dishes offered are concocted by the culinary team using freshly-caught seafood and quality ingredients. Pair your meal with a refreshing glass of wine, including several choices from California’s most famous vineyards, or a drink from their stunning 40-seat bar. 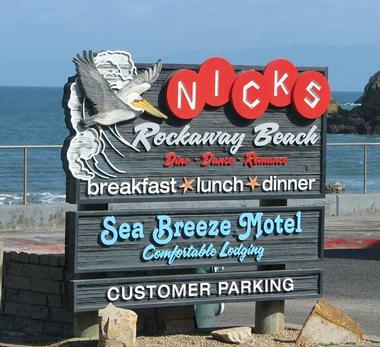 Nick’s Rockaway has been serving the people of Pacifica with a memorable sea shore dining experience since its inception in 1927. The restaurant is a family owned and operated endeavor which started with the dream of Stalio Karagianis. Though Stalio has passed on, his family continues to honor his legacy by ensuring that guests have the best dining experience ever when visiting Rockaway Beach. Open for breakfast, lunch, and dinner, you’ll be able to satiate your appetite with patron favorites like Dungeness cracked crabs, smoked trout and arugula, bay shrimp Louie, lobster ravioli, fish and chips made with Alaskan Cod, and much more.